On this page we will have different articles from many different people related to topics that will be of interest to you. If you would like to see anything or learn more about something just let us know. If you see evidence of excess moisture in your basement, but aren't sure about the source, here is simple test. Using duct tape, fasten pieces of heavy plastic or aluminum foil (about 20 inches square) to suspected damp areas of the walls and floor. Dry the area first. Check the squares every few days. If you find moisture on top, that is a sign of condensation from high humidity in the room. 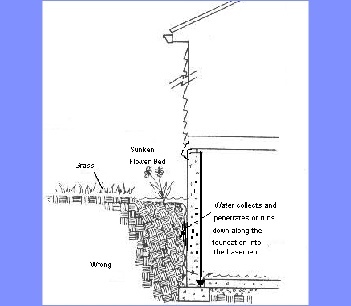 Moisture on the bottom or inside indicates seepage through the masonry. Moisture on both sides means that you have to contend with sources both inside and outside the basement.